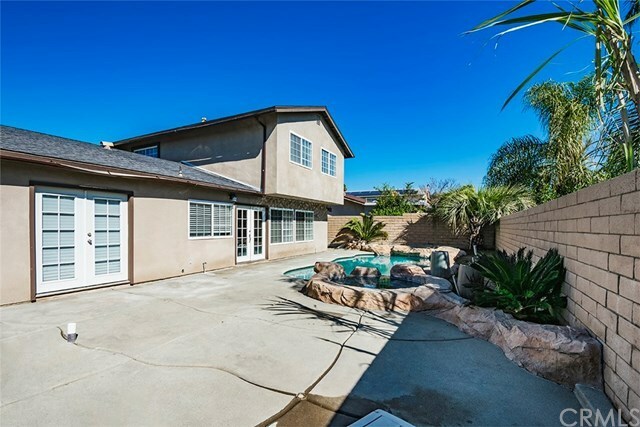 Beautiful north facing two-story home located at the border of Walnut and Rowland Heights, in a great school district. Located just a few minutes from a major shopping mall and cultural center. This completely remodeled home features 3 bedrooms and 2.5 baths with a very spacious floor plan. (Title shows 4 bedrooms, 2.5 baths however the owner converted 2 small rooms into a second master bedroom) freshly painted interior and exterior, newer roof, beautiful dark colored wood flooring throughout (to include the stairs), tastefully upgraded all the bathrooms with custom tile work and granite counter tops. Kitchen has granite counter tops, newer cabinets, recessed lighting throughout, a wet bar, new windows, beautiful exterior custom rock work, to add to gorgeous curb appeal. Your dream home is a perfect piece of paradise. The entertainer's dream backyard has a beautiful pool and spa with a baja shelf and water features. The only thing missing is YOU! Directions: E/N. Azusa Ave., S/Temple Ave., W/Shadow Oak Dr. N/Gemini St.